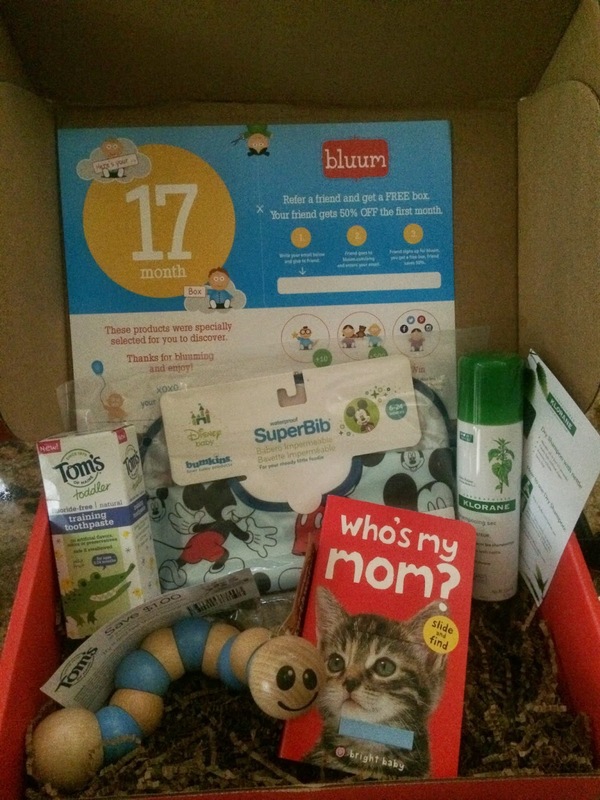 We got our final Bluum box!! This one almost made me change my mind about canceling our subscription for awhile… They send super cute stuff and I love that Cash gets a little something in the mail each month. But while oohing and ahhing over it all, my voice of reason quickly shouts to my brain and I remember that we are making that effort to be frugal. Oh yeah. We’ve in saving mode. Darn it. That’s ok though… we will be enjoying this box for a few months. I am super excited to share with you all the goodies we received. Grabbing, turning, clutching, and grasping: your little one is working hard to learn how hecan manipulate toys to do what hewants – and this friendly wooden worm will help him along the way! Your little one likely loves OTHER little ones – puppies, kittens, baby chicks – and this book will help teach them about the animals they will grow up to be! Who can deny the charm of a classic Mickey Mouse? He will help add a little character to any mealtime. It’s never too early to think about those chompers! Good dental health begins even before those little teeth start to sprout, and Tom’s of Maine is here to help. What Mommy can’t benefit from the convenience of Klorane’s Dry Shampoo? In every stage of parenthood, the grueling schedule means that sometimes your in-and-out shower didn’t quite cut it (if you make it to the shower at all!). We are THRILLED to be featuring it as our Mommy Product of the Month. Have you tried out Bluum yet? It’s really fun & you can even send it to a friend…check them out!